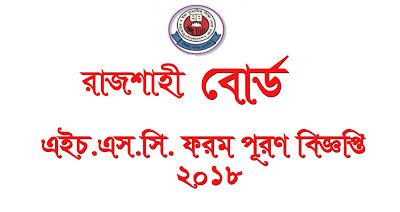 Rajshahi Board HSC EXAM 2019 Form Fill-Up Notice 2018. 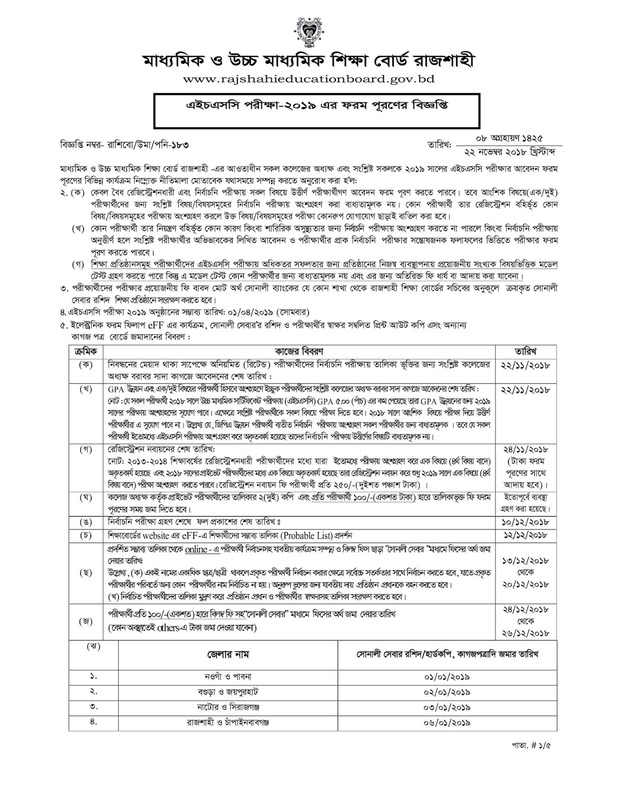 HSC Examination Form for all the affiliated colleges and all the concerned under the Secondary and Higher Secondary Education Board, Rajshahi. 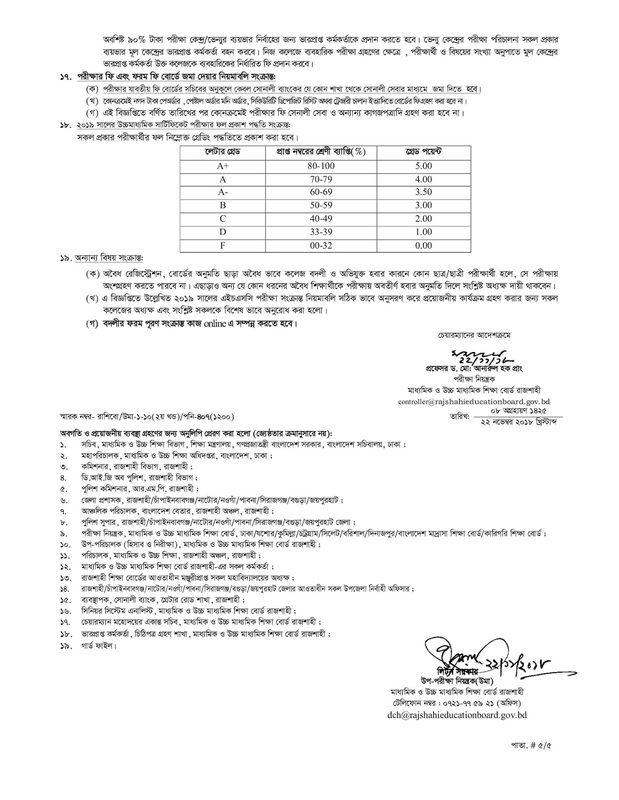 Participation in subjects / subjects examinations will be canceled without any contact in the subject / subject. Examination form based on the satisfying results of pre-election examination of the parent's guardian's application and the candidate's admission. The test can be accepted, but this model test is not mandatory for any candidate, and additional fees may not be charged or collected for this. Rashid of the service will be saved in the education institute.